This is the Annex of Main Olde Bellevue Hotel of Darjeeling. 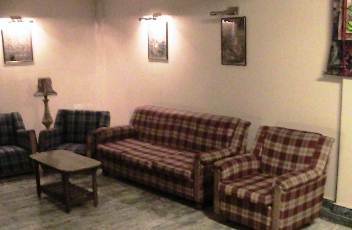 Annex in Darjeeling often represents the budget or cheaper wing of a hotel. While the Olde Main Bellevue Hotel is located right on the Mall, its annex building is located on Nehru road and right opposite to the Glenary's. From here the Chowrasta Mall is just 2-minutes walking distance. So the Annex building too is in a prime location offering decent rooms in budget price. It's a two storied building and the reception is on the first floor. The building also houses the Sikkim Tourisms Information Center. Walk up the broad marble stairs and you will reach the reception on the first floor. Subash Tamang, en enterprising young man is the manager and is normally present at the Front Desk in the evenings. He also runs a trek and tour agency in Darjeeling. There is a large spacious lobby at the reception and has sofas where you can relax. There are framed paintings on the walls. At one corner of the lobby, you will find the Sikkim Tourism Counter (X no longer exists). 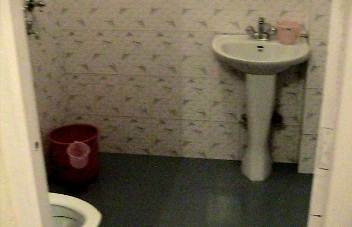 There are several rooms in the hotel that are mainly of two types - Standard and Deluxe double. Most of the deluxe double rooms have windows opening out to the Nehru Road below. So from the windows of the rooms, you can watch the activities in the narrow busy road. For a budget hotel, the rooms are quite okay. They are carpeted. However the carpets are faded showing signs of aging. That doesn't matter. In a budget hotel you won't after all keep looking at the carpets. The rooms are otherwise reasonably clean and quite spacious. Rooms have queen and twin beds. 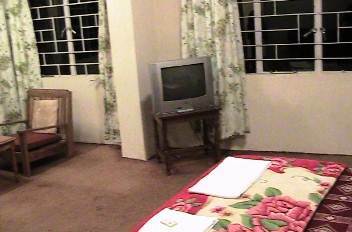 There is a TV provided in the room that has all the standard satellite channels. On one side of the room, there are couple of cushioned chairs and a table laid out for one to relax and have tea. The bathrooms are of western style and quite okay. They provide running hot water for a fixed period in the morning. The hotel also supplies towels and soaps. However the towels are not changed everyday, neither the rooms cleaned on a daily basis unless you ask for it. There is no in-house restaurant in the hotel. However you can ask the waiter to get food from outside. And there are plenty of restaurants all around. Glenary's, one of the best restaurants and bakery in Darjeeling is right across the road. The entire area is full of shops and eateries of all types. So that way the hotel is very well located. The service is in line with most of the other budget hotels of its category. However, the boys here are quite nice and friendly. Considering its location, closeness to the Mall and attractive rates, this can be a good choice particularly if you are travelling with our friends and looking for an accommodation in a central place close to the Mall. Even for budget minded families who are willing to adjust a little with service and the noise coming in from the road, this can be a nice choice. UPDATE 2014: A part of the hotel has been leased out to KFC which has opened a large outlet here. Also, Subash no longer works in the hotel. He has moved on to open his own tourism company which is doing very well. 1) Check out Top Darjeeling Budget Hotels to know about the best cheap hotels in Darjeeling.